Paul Jackson was born in Chester County, Pennsylvania, in 1729, the son of Samuel Jackson and the older brother of David Jackson. Distinguished for his classical knowledge, he served from 1752 until 1756 as Latin tutor in the Academy and College of Philadelphia (now the University of Pennsylvania). In 1756 he was elected by the trustees to serve both as clerk of the trustees and as professor of Greek and Latin languages. 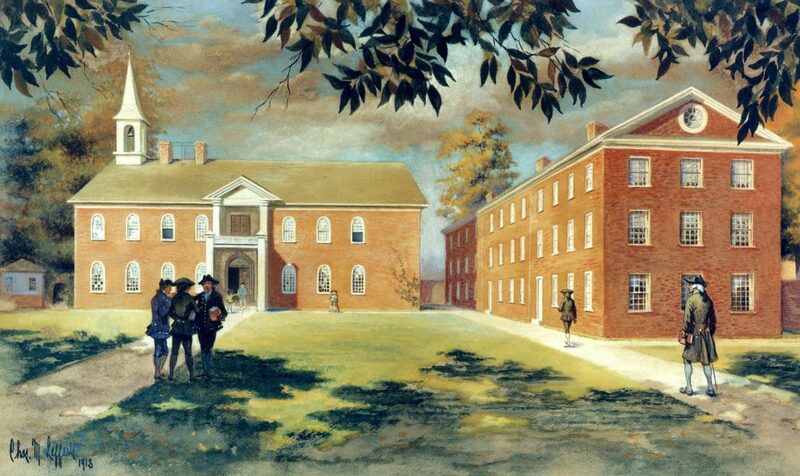 Impaired in health by confinement and study, Jackson resigned from his positions at the College in 1758. Jackson then joined the military expedition of General Forbes as captain in a Pennsylvania regiment. Although his health was improved by the physical life of the army, Jackson missed studying and soon commenced the study of medicine. After receiving a certificate from the Royal Army Hospital that qualified him to practice, he settled in Chester, Pennsylvania. In Chester he established a successful medical practice; here Jackson also served, from 1762 until his death in 1767, as chief burgess and as a justice of the court of common pleas. He married Jane, daughter of John Mather and sister of Joseph Mather, Class of 1757. After his death, Jane married David Jackson, her deceased husband’s brother.